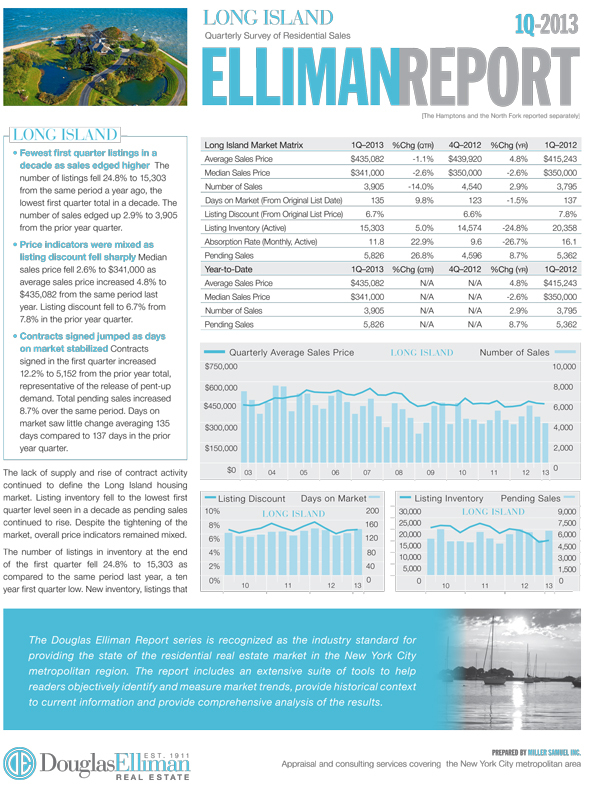 We published our report on the Long Island sales market for 1Q 2013. Lowest first quarter listing total in a decade. Signed contract volume jumped from year ago levels. Housing prices remained generally stable, indicators mixed. You can build your own custom data tables on the market – now updated with 1Q 13 data. Check out the charts by browsing in our chart library.